Photo: Trotter-Waters House, ca. 1895, 217 Cedar Street, Sevierville, TN. 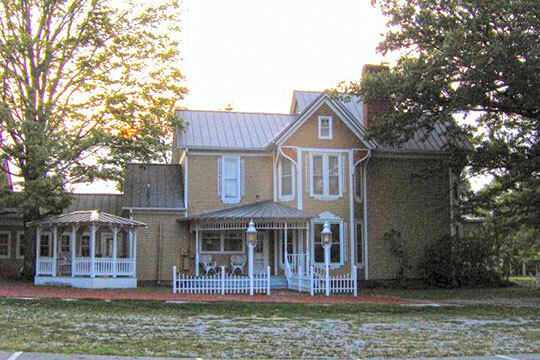 Listed on the National Register of Historic Places in 1975. Photographed by User:Brian Stansberry (own work), 2007, [cc-by-3.0 (creativecommons.org/licenses/by/3.0)], via Wikimedia Commons, accessed July, 2015. The Sevier County Courthouse is located at 125 Court Avenue, Sevierville, TN 37862; phone: 865-453-5502. J. B. Killebrew, A.M. and J. M. Safford, Ph.D., M.D., Introduction to the Resources of Tennessee, Tennessee Bureau of Agriculture, Volume I, 1874, Nashville.